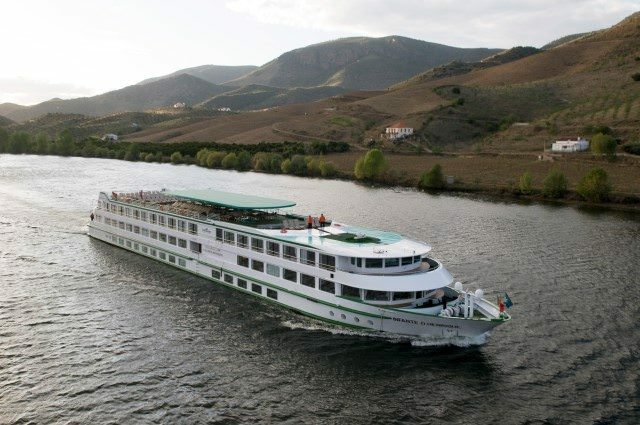 CroisiEurope offers cruises on the Douro River. There are nine different itineraries listed on the company’s website, but several of them have only one sailing. 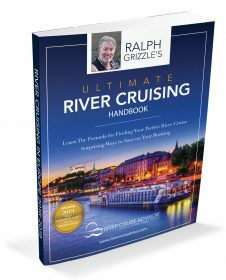 In this article, we’re going to look at two itineraries that have several dates available – 1) Porto, the Douro Valley (Portugal), and Salamanca (Spain), the 6-day cruise; and 2) Portugal to Spain – Porto, the Douro Valley (Portugal), and Salamanca (Spain), the 8-day cruise. The Infante don Henrique sails through Portugal’s spectacular Douro River Valley. Photo courtesy of CroisiEurope. This 6-day cruise between Porto and Salamanca is round trip from Porto. The average length for a Douro River cruise is about eight days, so this six-day itinerary is shorter than most. However, there are still quite a few stops along the way. Let’s take a look at the destinations you’ll visit. On the first day of the cruise, you’ll board the MS Fernao de Magalhaes in Porto. This ship carries up to 142 passengers and is smaller than other ships in CroisiEurope’s fleet. But ships on the Douro tend to be smaller for all cruise lines when compared to vessels on other waterways in Europe. After dinner, you’ll be able to experience the city by bus. The ship will remain docked in Porto overnight. Did you know there are a few UNESCO World Heritage Sites in Porto? On day two, you’ll spend the first part of the day visiting Porto with your choice of a guided tour of the city or a tour of the city by tram. Following the excursions, you’ll have the opportunity to sample some local food and wine. Later in the day, the ship will depart for Régua. 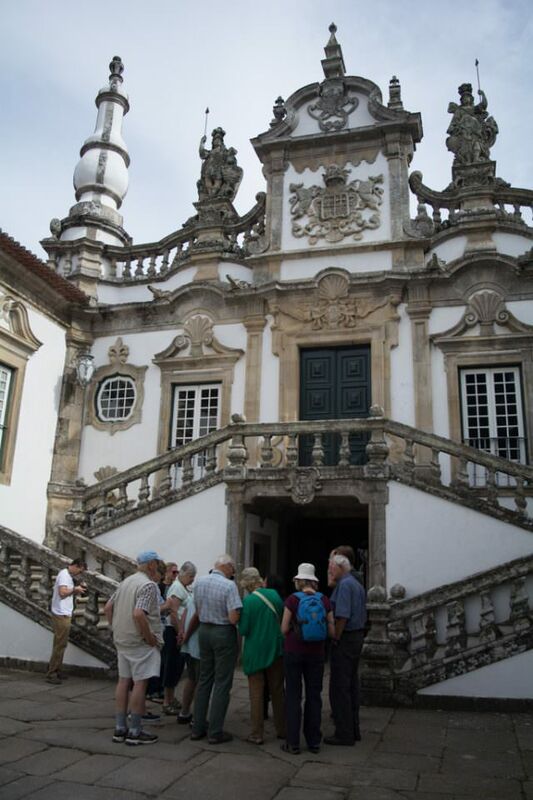 The third day of this cruise features a visit to the formal gardens of the 18th-century Mateus Palace in Vila Real, Portugal, which is about 20 miles northeast Régua and about 24 miles northwest Pinhão. After returning from the excursion, the ship will depart for Barca d’Alva. A day trip to Salamanca is on the schedule for day four. You’ll travel by motor coach from Barca d’Alva to the Old City of Salamanca, which is a UNESCO World Heritage Site. There are two tours available – 1) a guided tour of the city, or 2) a bike tour of the city. In the evening, you’ll be treated to a gala dinner. On day five, you’ll depart from Ferradosa and travel along the Porto wine route. The afternoon is spent on the ship as it begins its return to Porto. The cruise concludes in Porto on day six where you’ll disembark. Cruises are available between May and August. Starting prices for this itinerary are between US$1,993 and US$2,511 per person. Port charges are included in the fare. This itinerary is similar to the one above; however, it’s an 8-day cruise. So you’ll have an additional two days to explore Portugal. Travel is round trip from Porto and does include travel to Spain, but most of the trip is spent visiting destinations in Portugal. There are three ships for this itinerary. The MS Gil Eanes carries up to 132 passengers, and the MS Infante don Henrique and the MS Fernao de Magalhaes can accommodate up to 142 passengers. You’ll embark on your ship in Porto for the first night of your cruise. After dinner you’ll have the opportunity to tour the city by bus. The first two nights are spent docked in Porto. Activities for the first two days are similar to the itinerary listed above. On day two you’ll have the choice of taking a guided tour of the city or experiencing Porto by tram. After the tour, you’ll have an opportunity to sample some local food and wine before returning to your ship. After breakfast on the third day, you’ll two options for excursions. You can travel to the city of Guimarães or you can hike along the Douro River. Guimarães is about 35 miles northeast of Porto. Its historic buildings in the town center are listed among the UNESCO World Heritage Sites in Porto. In the afternoon, the ship will depart for Régua. On day four, you’ll visit the formal gardens at the Mateus Palace in Vila Real, Portugal. The afternoon is spent cruising. The next day is spent in the Old City of Salamanca, which is another UNESCO World Heritage Site featured on this cruise. Similarly to the other itinerary, you’ll have the option of taking a guided tour of Salamanca; or you can choose the discovery tour by bike. Day six is also similar to the other cruise. You’ll travel along the Porto wine route from Ferradosa. 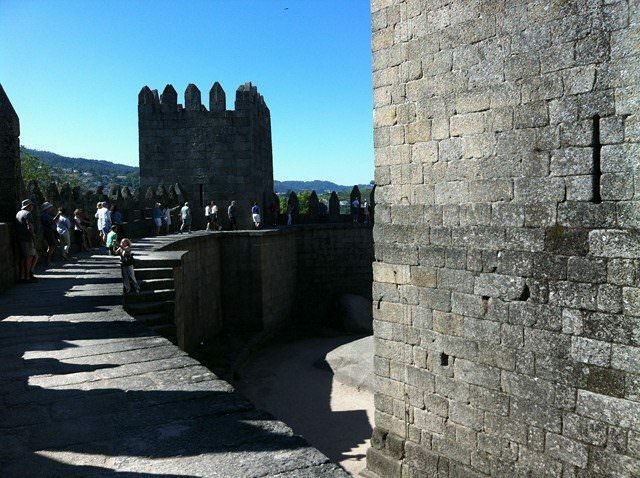 The following day, which is the seventh day, you’ll travel from Régua to Lamego by motorcoach where you’ll take a guided walking tour of the city. Lamego is about ten miles south of Régua. In the afternoon, the ship will depart for Porto for the last night onboard. The cruise ends in Porto on day eight. You’ll enjoy a buffet breakfast before disembarking. 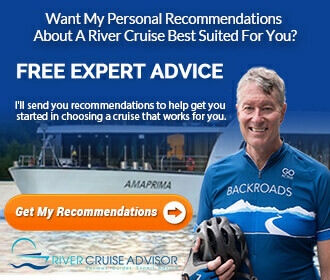 Cruises are available between April and July. Starting prices for this itinerary are between US$2,071 and $2,923 per person. Port charges are included in the fare. These two itineraries are similar in several ways with regard to destinations visited and available months. Let’s look at a couple of differences. The first itinerary is available in August, but the second one is not. And the second is available in April, but the first is not. There is only one ship that travels for the first itinerary, but there are three different ships for the second itinerary. The first cruise is only six days long, and the second is eight days long. Not a huge difference, but the longer cruise provides the opportunity for more exploration. Destinations visited are similar for most days; however, on the 8-day cruise, you’ll also visit the cities of Guimarães and Lamego. So if you want to spend a couple of extra days on the Douro River and visit these additional cities, then the second option is the best choice. And, if you’re looking for a shorter cruise, the 6-day cruise is the better option.